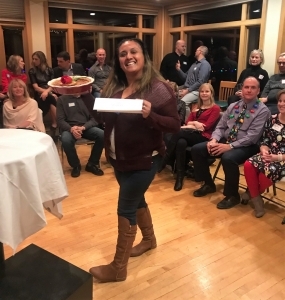 The Sweet Charity Event, hosted by Matt and Allyson Bernstorf at the Northfield Golf Club on December 8th, was a huge success raising over $19,000 for three local charities including HealthFinders. Sweet Charity is a Live Dessert Auction Benefit for charity. 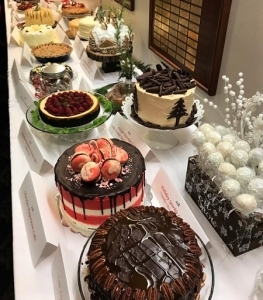 The auction line-up included a beautiful selection of desserts created by numerous bakers and restaurants from around the area. 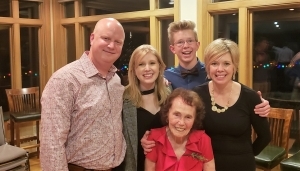 The star of the show was ninety-something years young, Marjorie Johnson, cookbook author and winner of over 1,000 blue ribbons, who was featured on Jay Leno’s Show. All the money raised at the event will be split equally between HealthFinders, the Community Action Center, and the Face it Foundation. We are grateful to Matt, Allyson, and their family for hosting and organizing the event, to Marjorie Johnson for sharing her expertise and stories, to all the amazing bakers who donated spectacularly beautiful and delicious desserts, to all the volunteers who helped with the event and finally to all people who attended and bid with the spirit of generosity.